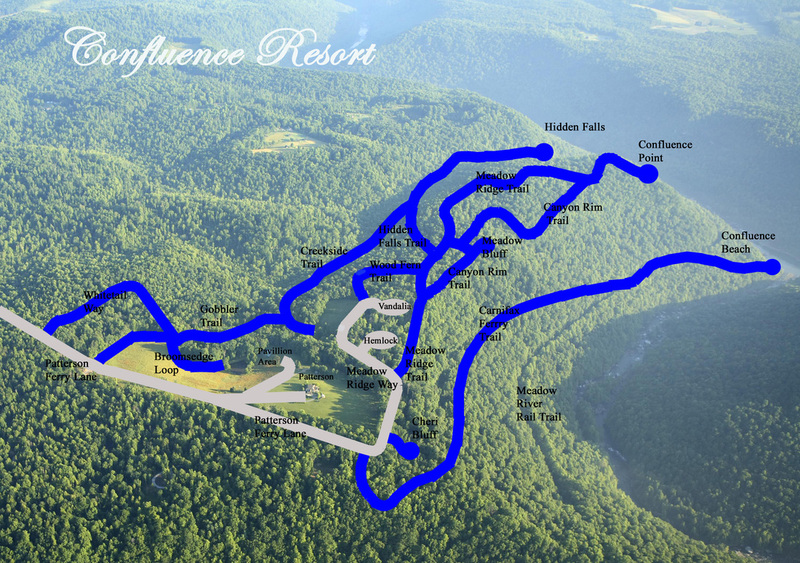 At The Confluence Resort you will find peaceful wooded lots and gorgeous canyon-front lots with views of the Meadow and Gauley Rivers. 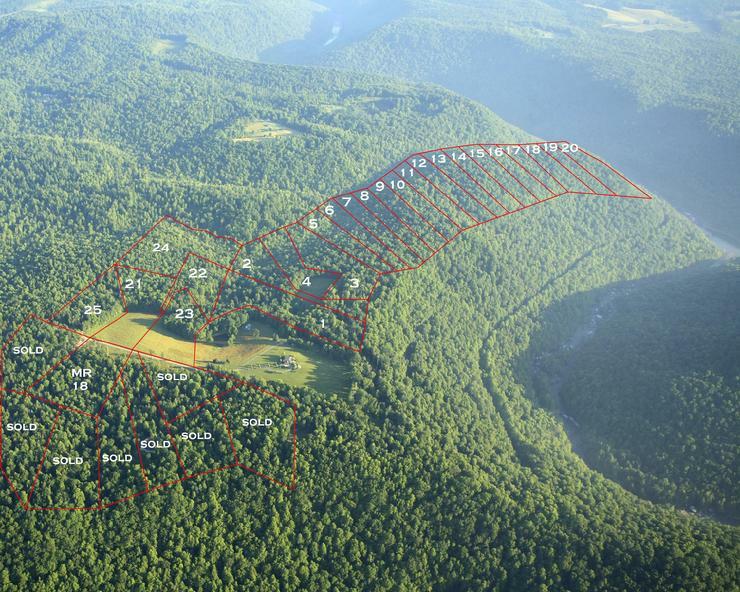 We specialize in large, estate size lots (5 acres and larger), which ensure privacy and plenty of "elbow room". The community shares an extensive trail system that traverses the 300 acre property along with National Park access and river access. With respectful and sustainable covenants, your investment is well secured, your panoramic valley views are protected by the U.S. Park Service, and your privacy and solitude are ensured. 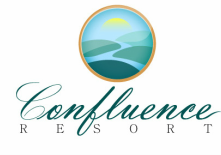 Interested in building your dream home at The Confluence Resort? Get your that dream started by sending us a request for more information. 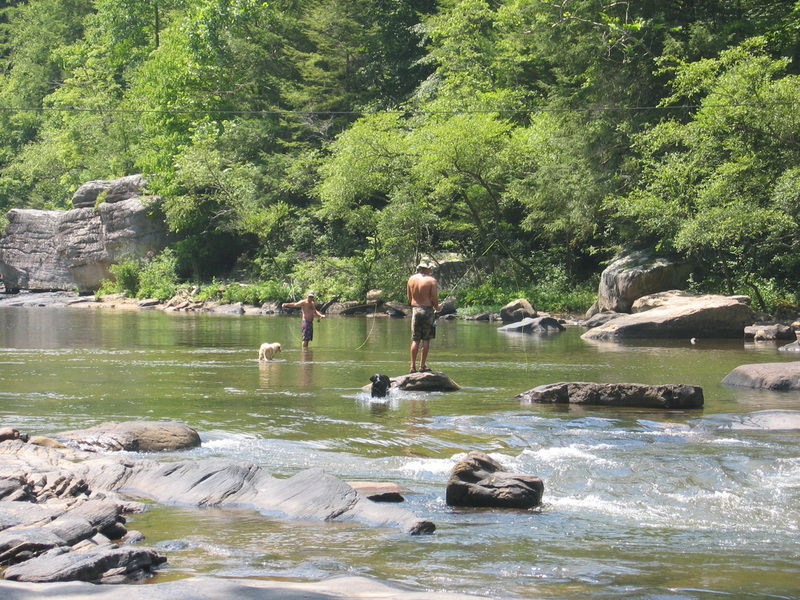 Residents enjoy private access to the Meadow and Gauley Rivers at their confluence. The Confluence Resort features 6 miles of private community trails for hiking and biking. ﻿﻿Our neighbor is the National Park Service! 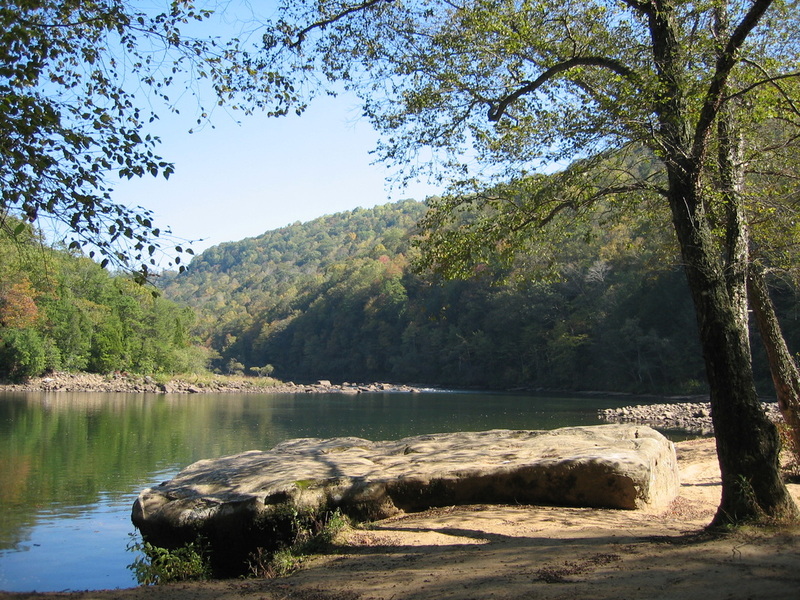 The Community is bordered on three sides by the Gauley River National Recreation Area.